On behalf of the Organizing Committee, I have the pleasure to invite you to attend the 3rd Conference entitled “Analytical methods to study oxidative damage, antioxidants and drugs”, held at the Medical University of Białystok – Faculty of Pharmacy. The aim of the conference is to bring together scientists from the fields of pharmacy, chemistry, biochemistry, and medicine in order to integrate multidisciplinary approaches to develop analytical methods in the studies of oxidative stress, its consequences, and the ways to counteract them. 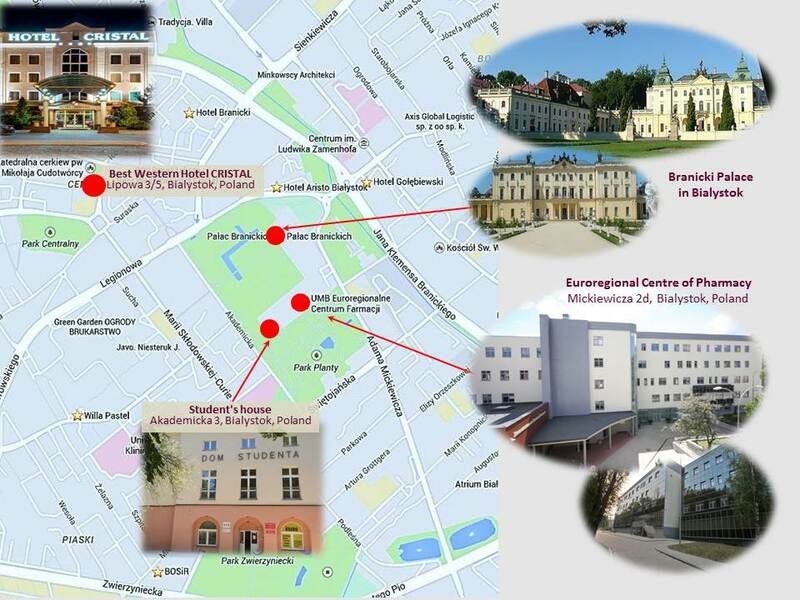 This year's conference is dedicated to the completion and dissemination of results of the "Advanced Analytical Chemistry for Life Sciences" project implemented by the Medical University of Bialystok in cooperation with Aveiro University (Aveiro, Portugal) and San Pablo University (Madrid, Spain), under the Erasmus+ KA2 program. The conference will include plenary lectures by recognized leading scientists, oral presentations, and poster presentations covering various aspects, from mechanisms of oxidative stress induction and its consequences, to the mechanism of action of natural and synthetic antioxidants as well as drugs. The workshops will contain oral presentations and training courses aimed at graduate students and young scientists. The lectures in this part of the conference will focus on analytical tools used for the analysis of drugs and metabolic pathways. During the conference, chemical, pharmaceutical, and medical companies will have the opportunity to present their technologies and products connected with basic and applied research. The conference is organized in Białystok, which is the province capital and the largest city in north-eastern Poland. The city is the administrative, economic, and academic centre of the region, as well as an important communication hub and, owing to its location close to the border, a gateway to the East. Situated close to the famous Białowieża National Park with its iconic European bison, due to its exceptional environmental assets, Białystok has been termed the Green Lungs of Poland. We hope that the conference will prove a great scientific success and an enjoyable experience for all the participants. We are also sure that the conference will offer the opportunity for fruitful discussions and give the possibility to initiate new collaborations.